Sharing our stories is a gift. That's why Court and I feel so lucky to hear those told by our guests taking our SANTA MONICA'S WRITER'S JOURNEY experience. We often feel that the people we meet are sent to us by divine intervention, if you will, the Universe, God, however you call the force that may be pulling some strings behind the scenes on our behalf. Every single guest who comes to our AIRBNB experience always bring a lesson, a truth, a reminder. It is always profound and, on a practical level, useful to us as we navigate our own journeys. This was definitely the case recently when we met a 54-year-old woman named Pam at sunset at Casa del Mar in Santa Monica. The hotel was all dressed up for the holidays with a 14-foot-tall Christmas tree in the lobby, and a bajillion twinkly lights. With the sun setting over the Pacific in dramatic pink hues behind us, it was truly magical. So it wasn't surprising that our evening—and the resulting interview we conducted at the end of it—would be, too! 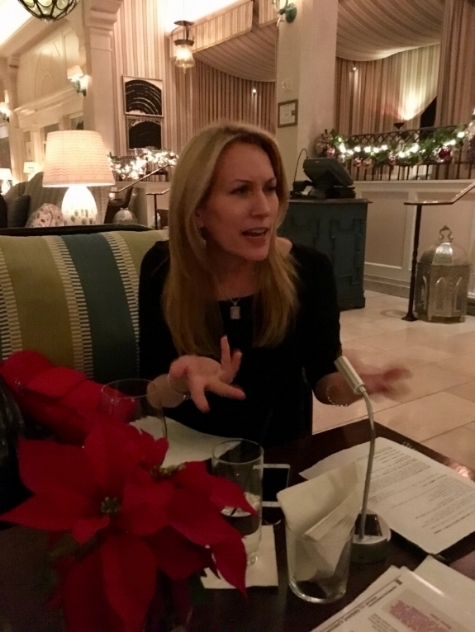 This fun and funny, Southern gal, a Georgia-born CPA, who moved to LA from Kentucky, seemed to be on a spiritual journey that has been continually unfolding in amazing ways. Moving so far away from friends and family, at midlife no less, has garnered her something of a fearless persona among those who know her best, especially her more conservative sister. That's why we've made her an honorary GG for sure! "How could you just pick up and move so far away?" she recollected her sister asking her many times before she actually did. "But it's not fearlessness," Pam explained to us. "I do feel fear. But I don't let it stop me from moving forward. You have to move through the fear." 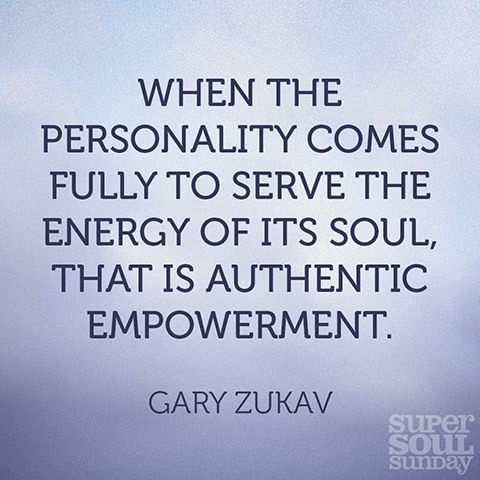 And moving forward means continuing on her spiritual quest, which most recently inspired her to apply (and get accepted to) the Authentic Power course, a year-long fellowship created and led by Seat of the Soul author, Gary Zukav. This, and more study, and likely even Pam booking our experience, are all part of her preparation to begin teaching what she's learned and sharing this wisdom with others most likely via a digital podcast platform. 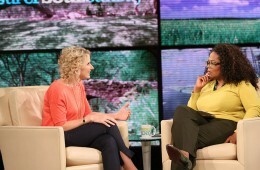 Mark our words, Pam will be on Oprah's "Superbowl Sunday" some day soon! No, this isn't Pam. But one day it will be! One of the greatest lessons this courageous woman taught us was her simple, yet methodical, approach to making decisions in life—especially the big scary ones. For her, these decisions have included a divorce, her big move cross country to LA, and several more job changes and moves since she's arrived. As Court went through a divorce, and we both have made big moves to LA, (although Court's was much more recent than mine), we could relate to Pam's story, and recognized right away the many ways that we mirror each other. Being an accountant, and self-described "right brain" person with a natural love for numbers, though, Pam told us she approaches life decisions with a certain logic that The Garage Girls can appreciate. We only half-jokingly told her that her first book will likely be called "Do the Math: The Pragmatic Person's Approach to Spirituality!" Here, we share Pam's answers to our interview questions. And if you read on to the end, we'll reveal her foolproof "method" to help anyone make a tough decision in life. Who inspires you? My dog Oliver. He's so tiny. So delicate. He teaches me to manage my emotions. He teaches me to stay in the moment. He teaches me what it means to love unconditionally. Who is your mentor? 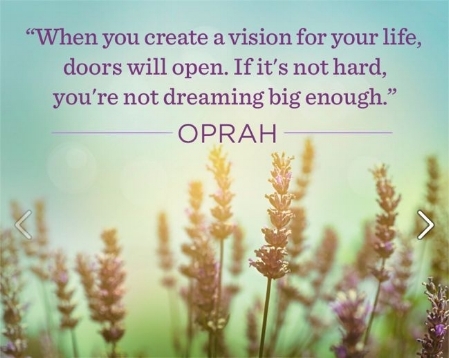 Oprah. She has introduced me to so many authors and thinkers, and has been the key to my path as well. What is something surprising about you that many people don't know? I tend to be quiet so most people don't know the depth of my soul, the wisdom. When people interact with me, they glean a depth that they really didn't expect was there. What advice would Oliver give you? "He'd tell me to chill out more, Mom, and just breathe!" What advice can you give to people who are looking to make a big life change, to be able to tell if the direction they are headed is right? Especially how do they deal with fear and self doubt? My advice is to ask yourself questions, and this is how I make all of my decisions. Do it if you can't think of a good reason not to. It's that simple. But it has to be a really good reason not to. Ask yourself, "Can I come up with a valid reason?" Fear plagues a lot of us because it is so powerful. You think of all the things that could happen, that could go wrong. But, let your right brain guide you. Hold every excuse up to the light to see if you got everything covered. We like to make excuses, but you'll know if there's a real one. And lastly, always factor what something will cost you spiritually if you'd don't do it, don't give it a shot, especially if the very thought of whatever it is inspires you. When you do this equation, you may find the cost of not doing something is just too expensive. In fact, not trying this new thing, no matter how scared you are of trying, will cost you everything if you don't go for it. Says Pam, when you do the math to reach the surety that this answer gives you, you will move forward in your choice with the blessing of both your right and left brain. And well, when they're in agreement, nothing can stop you!